Sandy and Norman returned to Norman’s home and they immediately began to look through all of the old pictures of Ilene. Mindy called and tried to convince Sandy to spend the night with Norman, but Sandy resisted doing so. Sandy asked Norman to call his daughter, Phoebe, but Norman was angry over Phoebe not visiting her mother the whole time she was sick. Norman went to bed and Sandy left, but Norman convinced Sandy to stay for the night. During the night, Norman woke Sandy up and wanted to begin planning Ilene’s funeral. Norman gave Sandy Ilene’s written instructions for her funeral. However, Sandy quickly rejected some of the more absurd requests. Sandy went and taught his class and brought Norman along with him. 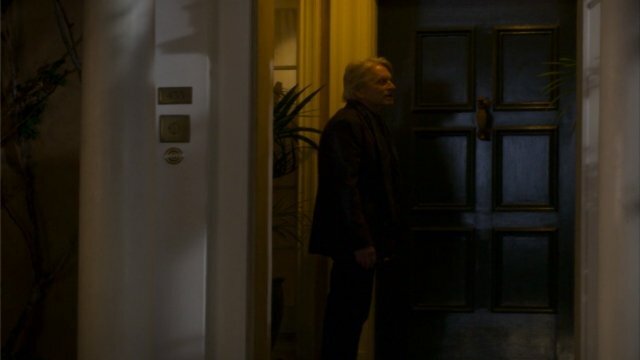 Sandy began to give a monologue about his feelings about Ilene’s death. Norman overheard the monologue and stormed out onto stage and began to explain his feelings to class. The class erupted into applause at Norman’s bravery. Later that day, the pair went to pick out a coffin, Norman was upset at the prices of the pre-built coffins. Norman insisted on a custom built coffin, but he got angry over the name, Woody, of the salesmen. Sandy took Norman aside and tried to calm him down. He decided to send Norman to the car while Sandy finished up the arrangements. The next day, some of Sandy’s students performed a scene from the laugh-free comedy they had written. Lisa sought out Sandy after class and the pair discussed the scene that had been performed. They discussed the impending funeral and the arrangements that had been made. Sandy invited Lisa to come to the funeral with him and she accepted. At the funeral everyone enjoyed the musical stylings of Patti LaBelle and a comedic routine by Jay Leno. Last but not least, a drag queen Barbra Streisand look-alike performed. Sandy recounted the story of how he and Ilene first met, He then followed it up with how he introduced Ilene to Norman. Sandy decided to look after Norman for the remainder of their lives. Finally, Norman went up to give his eulogy to his wife. Norman, understandably broke down into tears rather quickly, but managed to finish his heartfelt speech. As he was wrapping up, his daughter, Phoebe, arrived and interrupted the proceedings by tripping over her luggage. Lisa expressed her gratitude to Sandy for bringing her to the funeral. 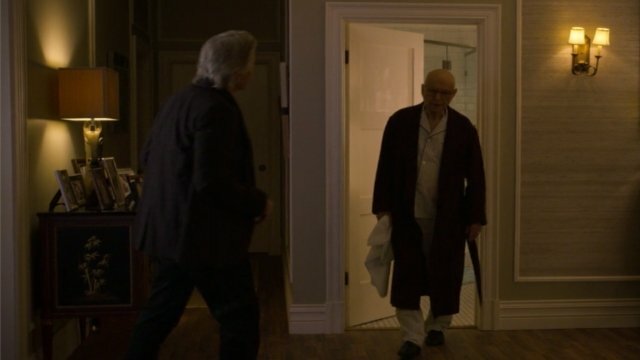 What did you think of The Kominsky Method season 1 episode 2? Let us know in the comment section down below! 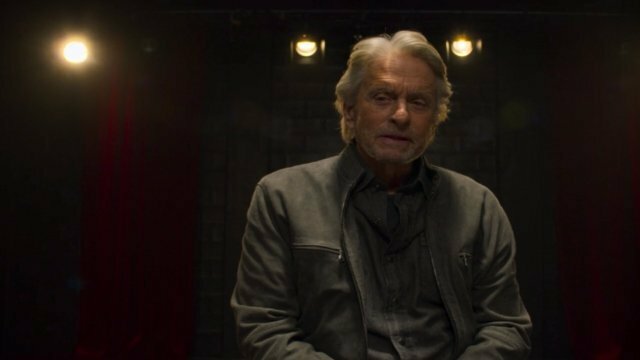 The post The Kominsky Method Season 1 Episode 2 Recap appeared first on ComingSoon.net.